There is a moment when a clinging bead of water, in quiet orb-like suspension, becomes a droplet. The droplet reflects its surroundings while gathering light within. There is a moment when molten glass transforms from liquid to solid. This instant of transition is accompanied by an emission of beautiful light. Momento freezes that moment of ephemeral beauty and turns it into a source of light. The elliptical shadow, folding over itself, captures the glassmaker’s spinning technique. It is a gentle ripple of light just like when a droplet hits the surface of still water. 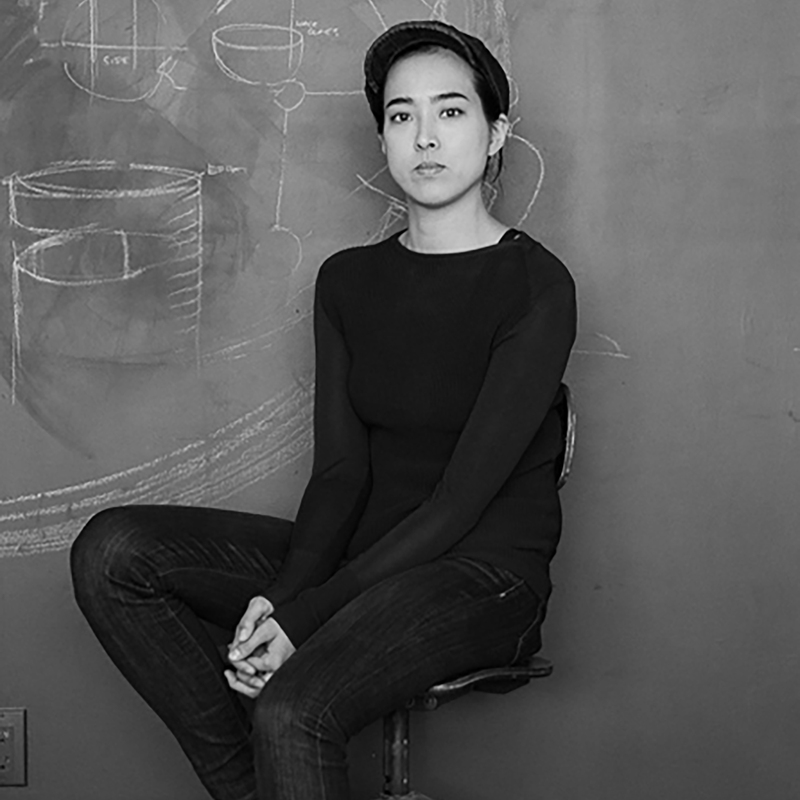 Nao Tamura is a designer in the most modern terms. Her talents cross-over cultures, languages, disciplines, concepts and styles with consistency of smart thinking always at the heart of her work. She is truly global in her insights and execution. As a product of Tokyo and New York City creative communities. Nao defies the kind of categorization that the industry status-quo often insists upon. Her unique solutions are more than simply design and possess a rare balance of innovation and beauty.